I haven’t been to Las Vegas in about five years, and boy has it changed. New resort casinos, new shows, and new breweries and watering holes. Oh, I also suffered some serious sticker shock when it came to my meals and beer! Long gone are the days of the $6.99 prime rib dinner and $2.50 beer. But I’m getting ahead of myself. Let’s get to the important stuff. Sin City Weisse (4.5% ABV) – I enjoy a good wheat beer, but unfortunately this one was not one of them. Tasting more like watered down lemonade or crushed sweet-tart stirred in water; Sin City Weisse is unfiltered but really had no body or character. Luckily for me I had an entire pint to choke down. Bummer, I really wanted to like this beer. 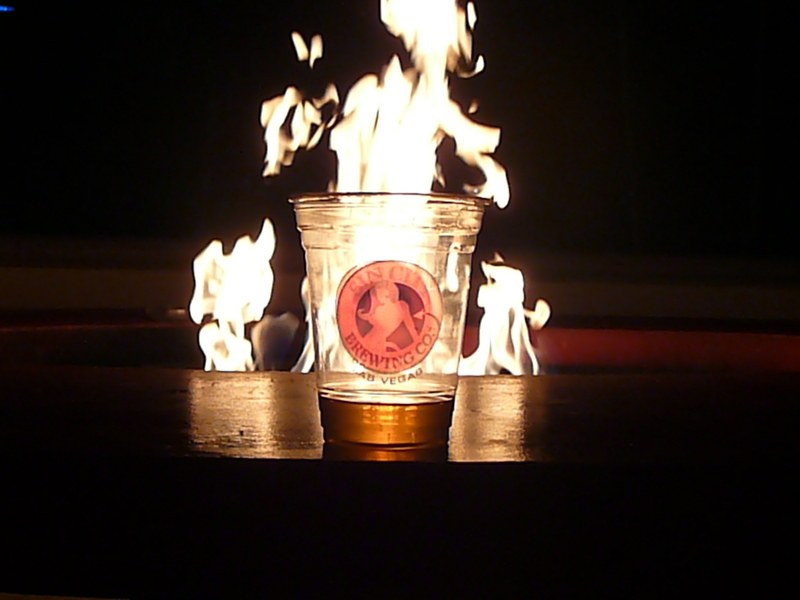 Sin City Amber (5.7% ABV) – Another disappointment was the amber. Described as a full-bodied Oktoberfest-style beer, I expected more flavor, body, and, well to taste like an Oktoberfest-style beer. Like the Weisse the Amber was also a bit watery. There is an obvious attempt for the toasty, crisp taste and feel of an amber beer but this beer doesn’t quite make it. Sin City Light (ABV unavailable) – Surprisingly this beer was actually quite tasty. Very crisp, clean and lightly spiced the Light picked up where the two previous beers left off and actually tasted like beer. Great beer for the desert sun. Sin City Stout (ABV unavailable) – though a bit too hot out for a stout I decided to give it a go anyway. Full-bodied, black, and full of coffee and chocolate notes, this beer was a very pleasant surprise. Brewed in the style of a traditional Irish stout, the brew is rich and finishes a little dry. Nicely done. hints of honey this IPA has a nice hoppy aroma and finish. A little lighter than what I expect in an IPA but ideal for the Vegas heat. Sin City Brewing Co wasn’t that bad. Three out of five beers were nice, just seems they spent more on the fancy merchandise than on the quality of the beer. Oh, and the beer isn’t cheap. $6.00 a plastic cup at the Flamingo but you can buy two mini pitchers (about three pint per pitcher) for $15.00. Next stop on my vacation was The Pub at the Monte Carlo. 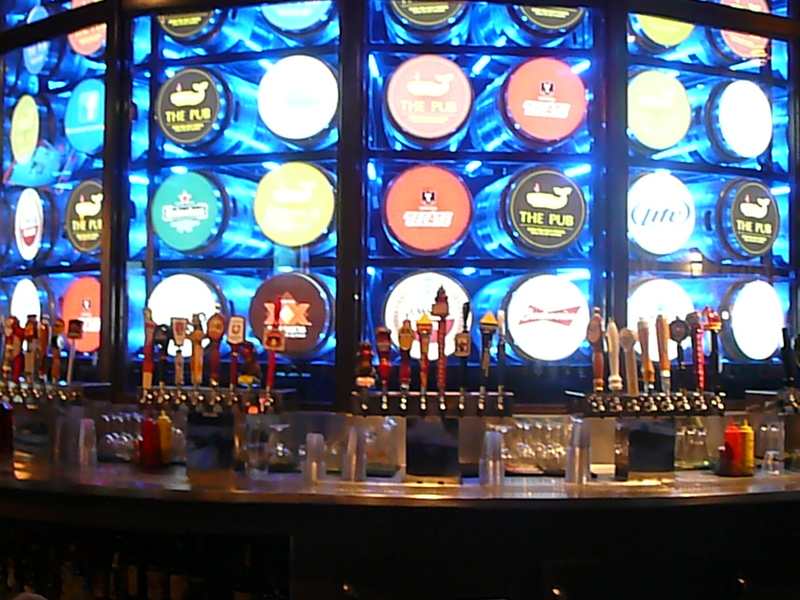 300 beers from around the world on tap! You heard right! Everything from local micro-brews to some of the best imports you will ever have the pleasure of drinking. The downside? Expect to pay anywhere from $6.50 a pint for your standard Budweiser and Coors Light to $15.00 and up for a pint of something a bit more exotic like a Belgian wheat beer. You can also purchase large (and I mean LARGE) bottles of some imports such as Chimay Blue Label for around $400-$750.00. A bit pricey for my taste. few times on my vacation. Hands down, my favorite hangout for a pint in the entire city is Nine Fine Irishmen located in New York, New York. Probably one of the prettiest pubs I have ever been to, the pub was built in Ireland, dismantled, and rebuilt in the casino. Pouring traditional Irish and English beers such as Guinness, Harp, Bass and Boddingtons Nine Fine Irishmen serves some of the finest Irish Whiskeys available. 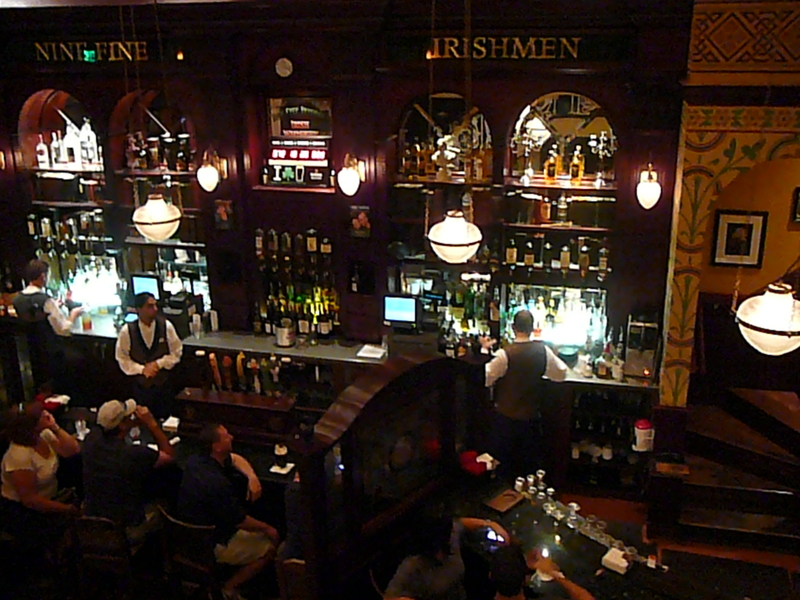 Great food, Celtic atmosphere and live Irish music one will find it hard to leave. disappeared and has been replaced by a Paris Hilton and the Kardashians vibe. Oh well, all things must change. There were so many new places to try and not enough time (or money) to try them all. If you plan on going be sure to wear some good walking shoes, choose your food and entertainment wisely and be prepared to drop some serious doubloons in this town. I totally agree. I was in Vegas last weekend from the 20-26 & I visited The Pub, Nine Fine and Sin City… the best thing I had from Sin City was the t-shirt & pint glass… I will agree that the Stout was the best thing they had to offer as I tried everything they had to offer and nothing seemed to speak to my pallet. It was almost as if my pallet forced the Stout to be good. Well, if the prices had been more acceptable, I would’ve enjoyed it more… but it was so unremarkable (except for their menu) that I left disappointed. For example: I wanted to try their Black Xanthus and they wanted $45 per bottle… when I could get it here in Federal Way at 99 Bottles for $17. F#*% Vegas! BUT WAIT! Nine Fine Irishmen was exceptional and lived/lives up to all that and the can of biscuits! The waiters were cool… the other guests were cool… the bar-top Irish-clogging was totally cool and everybody seemed to be enjoying themselves. For those of you heading to Vegas, focus on the Nine Fine Irishmen in the NY, NY and your trip for great brew won’t be in vain! Thanks for the input Dan! I think next time we may do Downtown instead of the strip.